The Rundown has started back up on the Official Predator Fan App. The Season 2 opener features a sweet interview with Predator legend Bill Duke and a look at Royce’s tactical vest from Predators. It also has a brief behind-the-scenes snippet of The Predator! New episodes of the Rundown are uploaded Fridays. 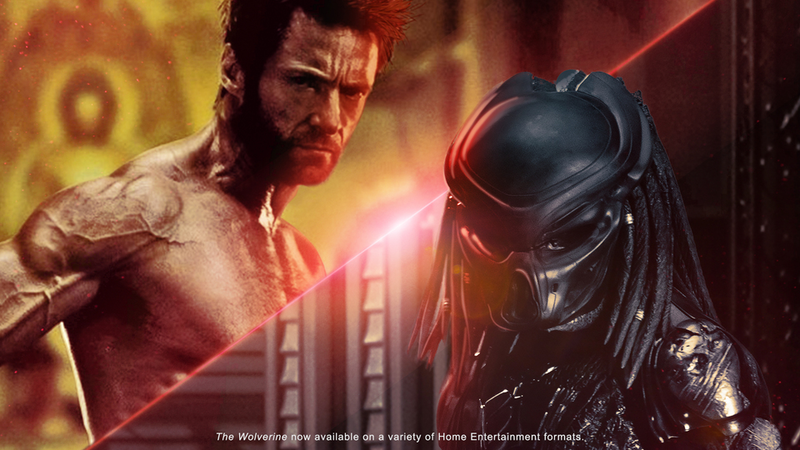 You can download the Official Predator Fan App on your phones via this link (or on your relevant market place) or via Predator.fox. The team handling the Fan App have been posting plenty of cool behind-the-scenes stills from the various Predator films. It’s worth checking out! Nothing really, I'm afraid. Half a page spread. No new pics. I'll get a copy when I'm done at work. I forgot about this actually. I'll get a copy when I'm done at work. Maybe new still or any other new information? I'll pick it up on Friday. Now that is an awesome visual effect with that shot of the Predator! Looks fantastic! No image. No gif. Invisible marketing! We're getting closer to release.. about 6 weeks out so the marketing campaign is about to ramp up. Excited to see these interviews with the cast. They've all got great chemistry and they're entertaining individually. 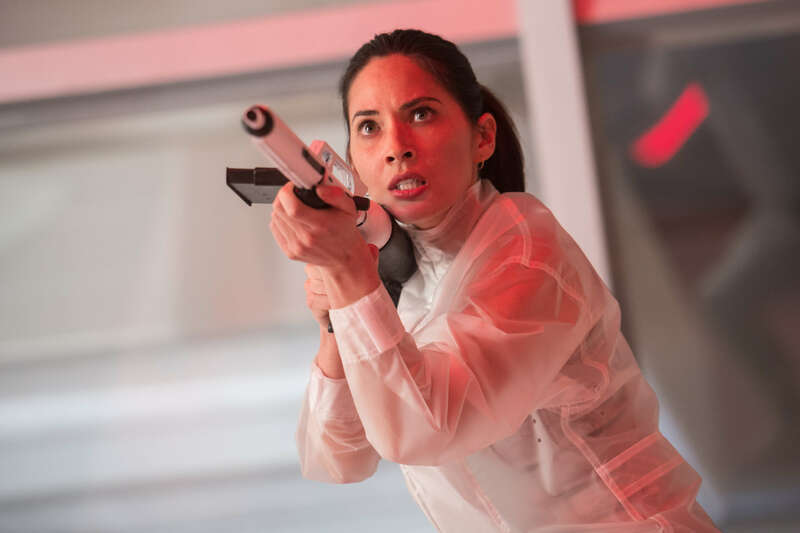 I know commenting on Olivia Munn's attractiveness is popular currently (for good reason, my god) but she's also pretty funny and entertaining in interviews. Yeah, I think it was pretty shady to deliberately put a shot in the Predators trailer that was misleading and had nothing to do with the story. And while for this movie, it was a late change rather than intentional misdirection, now that they've cut the friendly preds and the APC scenes they should quit using them in forthcoming trailers. You know why that shot was changed though, there's only three Predators and they wanted to make it look like there was more. Nothing mysterious or anything to ponder. For me there was. It was the first time I'd ever encountered such a thing. I kept thinking the 3 predators must be pushing them towards a larger camp or that additional predators would be coming off the ship to hunt them. Consequently, when I saw that scene, it served as a distraction because it was something I had been anticipating the whole movie. You know why that shot was changed, there's only three Predators, they wanted to make it look like there were more. I know they have to attract more people to watch the film but it's not fair they use stuff so close to the premiere which won't be in the final version. If we get a director's cut or alternate version containing the original film, that's one thing. But to keep using footage not found in the new theatrical cut is kind of raw. Instead of talking about the quality of the film, or enjoying the experience again in their mind, people will be leaving the theater scratching their heads and wondering why all that cool looking stuff wasn't in the movie. Just like the laser scene with Royce in Predators, I spent the remainder of the film and a good portion afterwards wondering why that money shot was changed. It was a distraction. I think it's great when trailers lie to the audience with no irony. I like going in and being surprised. I was, it was clever. I wasn't pleased the way infinity war used this in their marketing. Those muzzle flashes look kinda terrible. I'm not seeing any reactive lighting. Did they do those all digital? Well that was a badass shot of the vehicle flipping. They should have left those bits in. A vehicle chase with Predators sounds neat. Might be worth keeping an eye on this guy. He says he works on The Predator but he works for FoxNext so might be getting something from them for the film. 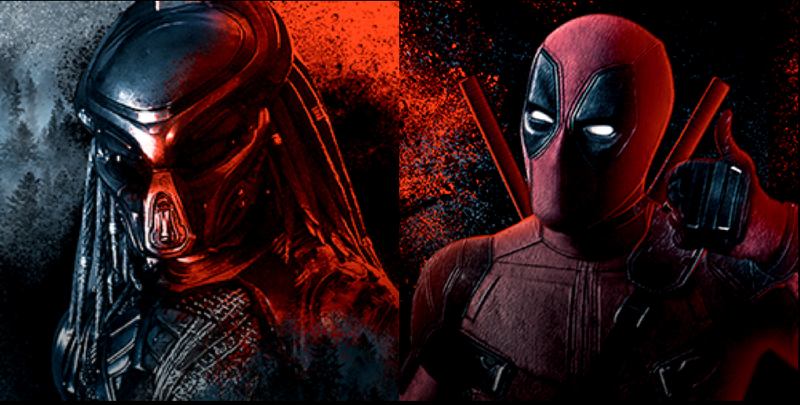 Why do I want an XCOM game set in the Predator universe now? Hell, if they'd made an Avp Extinction type of game (but actually good) with an XCOM approach I'd be so in. Now I want Avp Extinction 2. That would be so awesome. I always enjoyed the first game. Loved playing as the aliens and building my hive up. I always loved getting a bunch of runners and plowing through enemies... until a bunch of flamethrowers would make them explode. Something similar with better graphics, of course, would be awesome. New image of Fugitive? from the fan app. Wow. I had no idea he was a grandfather. Oh yay, glad to see he's back! Maybe the reactions from SDCC cheered him up again. ...And we&#39;ll be interviewing @BonafideBlack and co. in our @CBR / @ScreenRant. / @RegalMovies media room this week so stay tuned for even more! Sounds like Shane Black changes his mind about Predators taking place in the future, saying it happened "along the way" presumably before The Predator takes place in 2018. Like The Old One said, it probably won’t matter either way, assuming they probably wont even make mention of Predators in this movie. 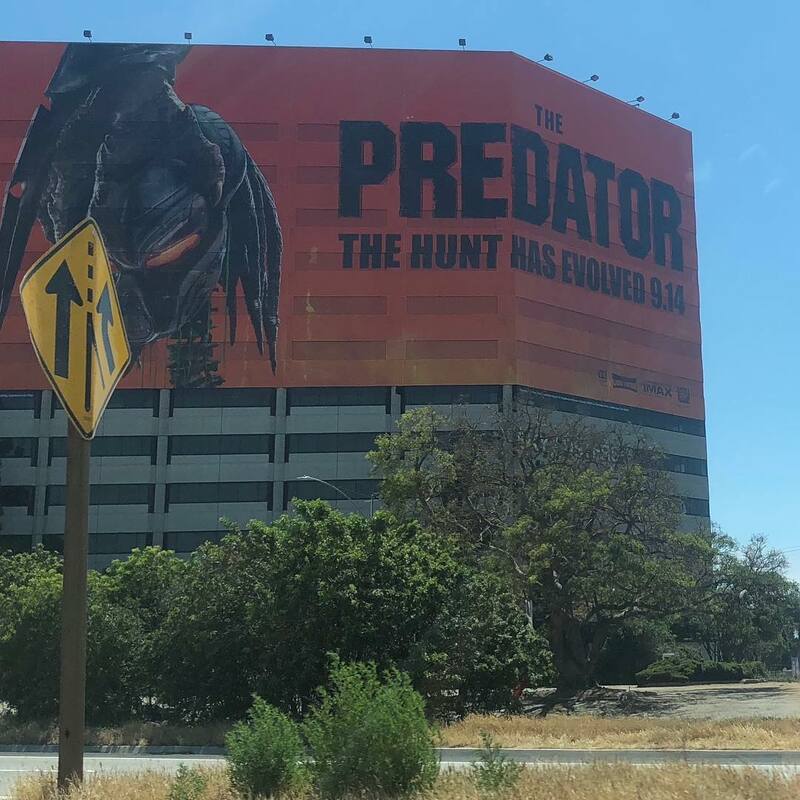 But it is nice to see that they’re not going with an arrogant attitude towards the more recent movies that have featured Predators and are paying some respects rather than completely ignoring them. As well as basically saying that this is the 4th installment. I really love Shane’s response on how he got into movies and the movie going experience. Very admirable and relatable. It really doesn't matter either way, it's appealing to make Predators the fourth entry to me tbh now. Maybe new thread - "Bilboards, Banners and other promotion" ? They were making a movie reference Hicks. Also a reminder - this isn't supposed to be a thread for everything. This is just for the smaller stuff that doesn't deserve it's own topic. New stills and etc, please create a new thread for it. if anyone can post it? The lack of housing for the plasmacaster still bugs me but it's a pretty neat shot. I guess they no longer require the power pack.